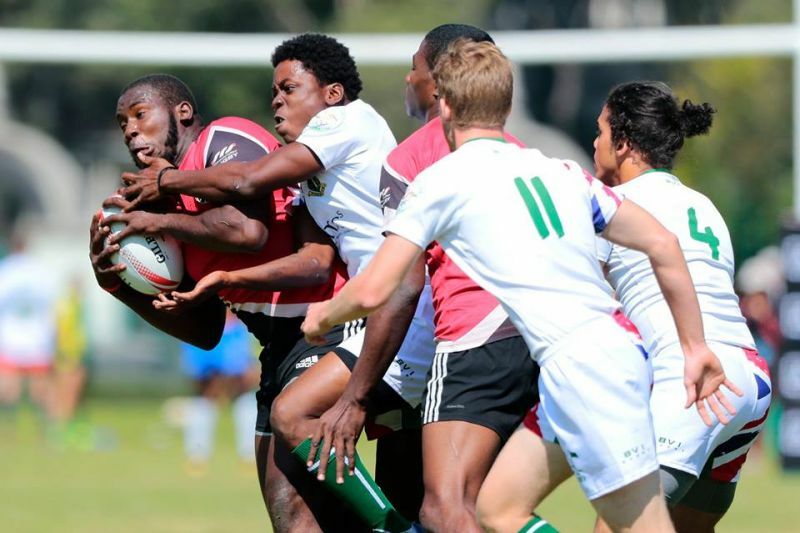 MEXICO CITY, Mexico — Jamaica Men and Mexico Women have been crowned the 2017 Rugby Americas North (RAN) Sevens Champions. Both teams have booked their ticket to Rugby World Cup Sevens in San Francisco as well as the Central American and Caribbean Sports Organisation (CACSO) Games. French Guiana and Jamaica Women will also represent RAN at the CASCO Games. Mexico women will play in the 2018 Hong Kong Sevens, while Jamaica Men will head to the Gold Coast 2018 Commonwealth Games. The [British] Virgin Islands (VI) Team concluded day two with another victory over Curacao, 26-7, to avoid the ignominy of finishing bottom of the tables, but unfortunately finished on the wrong end of a 40 – 0 score line against Barbados and suffered a 28-0 defeat at the hands of the Dominican Republic. Between the near-capacity crowd and the heart pounding action on the field, finals day at the Campo Marte military grounds in Mexico City was one for the record books. The women’s competition had its fair share up upsets. After going undefeated on day one, Trinidad & Tobago ended their campaign in fourth place after a 5-0 loss in the final match against Mexico. The loss, coupled with French Guiana’s 36-0 shutout over Guyana, and Jamaica’s perfect record on day two, resulted in French Guiana and Jamaica finishing second and third respectively. Guyana, Dominican Republic and Bermuda filled out the fifth through seventh place slots. After seven injuries side lined members of Mexico’s women’s team in the last month, the squad needed to dig deep to earn this year’s RAN Sevens title, and a first-ever appearance at a Rugby World Cup Sevens. In the final versus a very physical Trinidad & Tobago team, Captain Dany Rosales used quick field awareness to tap through for the only try of the match. In the men’s competition, the final between Jamaica and Guyana did not disappoint the roaring crowds. Both teams met after two days of going undefeated, save for Guyana’s tie with Bermuda in the first Cup match of day two. Under the setting sun both teams traded tries and possession to land tied 14-14 at the half. 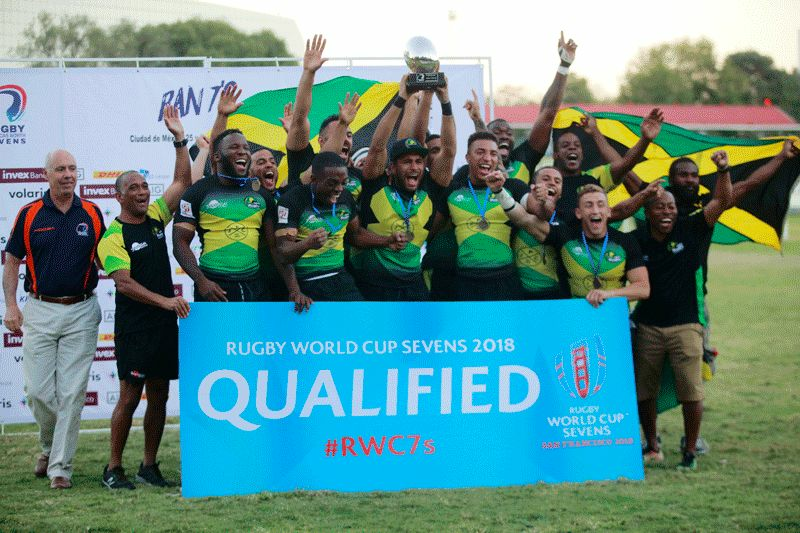 Guyana looked to have stolen victory late in the match with a try from Pat King, but deep into injury time Conan Osborne was the match winner with a beautiful individual effort that secured the 28-24 win and 2018 World Cup Sevens qualification for Jamaica. Mexico pleased the hometown crowd in their final match with a 22-14 win over Trinidad & Tobago to secure a third-place finish. All four of the top finishers in the men’s competition will head to the CACSO Games. Cayman Islands beat Bermuda for the fifth-place spot. Some very good lessons learned from a young team, faced with a lot of adversity over recent months. BVI rugby will use this experience to go from strength to strength in order to compete with the Big Boys in the region in the future. We need more players down to play more games, locals, expats, everyone. Rugby is a fully inclusive game no matter what gender, race, colour or body shape. This will help the team improve. Being part of the team also presents youngsters with great opportunities to win scholarships and make a name for themselves and the BVI. Well done to all who attended the tournament. The spirit and heart was clearly on show. I am amazed they made it so far!